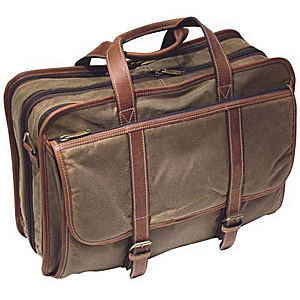 If you need a spacious good looking bag then the Korchmar Expandable Computer Brief Bag looks like a good choice. It has 2 removable computer sleeves, one large and one small. It has 3″ expandable section, an adjustable “packing board” for overnight trips, and a 3 section file compartment.